Speed reducers, also called a gearboxes and gearheads, as well as gear reducers etc., consist of a set of gears, shafts and bearings that are factory mounted in an enclosed lubricated housing. Speed reducers are available in a broad range of sizes, capacities and speed ratios. Their job is to convert the input provided by a prime mover (usually an electric motor) into an output of lower RPM and correspondingly higher torque. Important performance specifications to consider when searching for gearboxes and gearheads include gear ratio, output torque, maximum input power, and maximum input speed. Ratios are generally specified at X: 1, where X is an integer. Therefore a ratio of 5:1 is specified as 5. 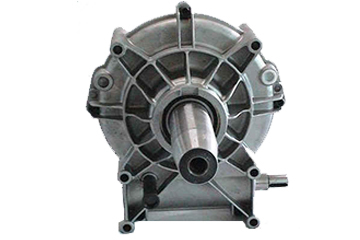 A 5:1 ratio means that a motor input of 1750 RPM is converted to 350 RPM. A reducer's input HP rating represents the maximum prime mover size the reducer is designed to handle. Exceeding the maximum input speed can result in oil "churning", which is detrimental to the life of the speed reducer. Gearing arrangements for gearboxes and gearheads include spur, helical, planetary, harmonic, worm, bevel, and cycloidal. Spur gears are gears with teeth that are straight and parallel to the axis of rotation. They are good for parallel shafts. Helical gears are gears with teeth that spiral around the gear. They are similar to spur gears but with greater time of contact and quieter. Planetary gears get their name from a resemblance to a solar system. 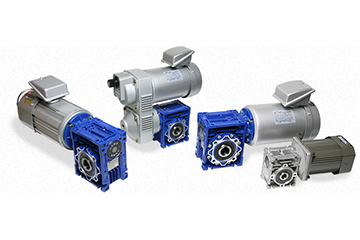 Planetary reducers can be designed with gear sets or a set of planetary cones. In planetary gear reducers, planet gears revolve around a sun gear. The input shaft rotates the sun gear. Each of the planet gears simultaneously applies a torque to the rotating planet member that then applies a torque to the output shaft (back side). 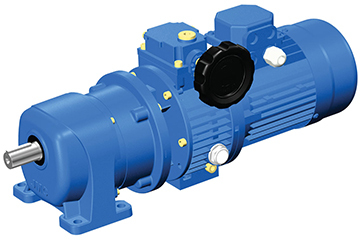 Planetary cone reducers operate on a similar principle, utilizing an input disc, control ring, and planetary cone power train instead of a gear set. Harmonic gears utilize a nested gear within a circular spline, the inside one being flexible and containing two fewer teeth. Each turn of the inside moves the flexible gear anti-clockwise on the Circular Spline. A worm gear is a threaded input shaft meshed with a worm gear that is mounted to the output shaft. These are usually used for right angles. Bevel gears are gears that shafts lie perpendicular to each other, therefore utilized mainly in right-angle applications. Miter gears are bevel gears with a 1:1 ratio. They are not used for speed reduction. Cycloid reducers use rolling elements (such as a cam follower) and a multilobe cam to transmit torque and provide speed reduction. 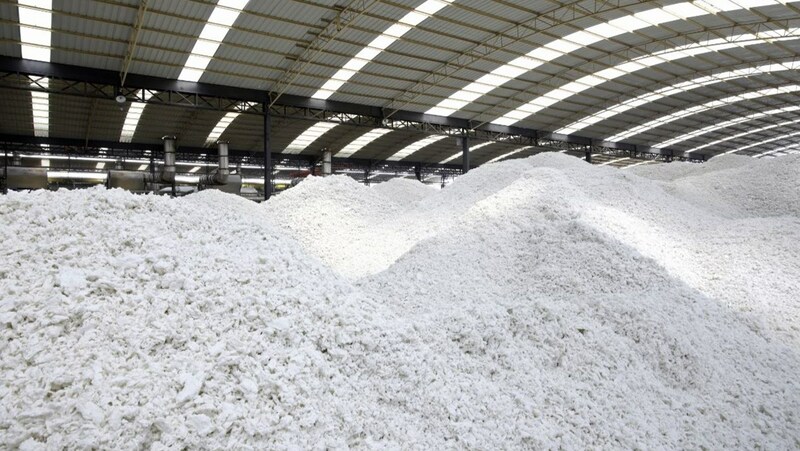 Cycloidal reducers can provide high reduction ratios with low backlash, high accuracy, and high stiffness. 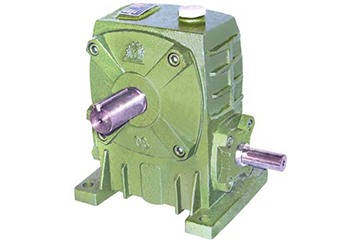 The load-sharing feature of cycloidal reducers also allows it to withstand high shock loads. 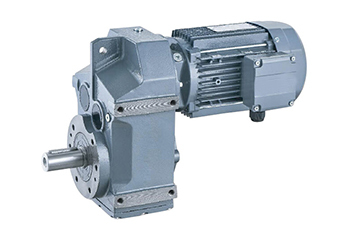 A speed reducer is termed a gearhead if it is entirely and directly mounted onto a motor, not just the shaft. 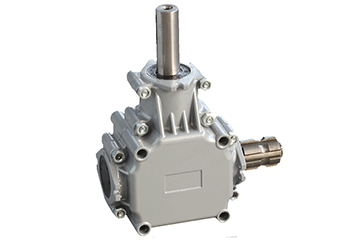 Therefore, other speed reducers (gearboxes) are typically coupled with the shaft and then base-mounted. The coupling of the shaft from the prime mover to the input shaft of the speed reducer can be accomplished in a few different ways. 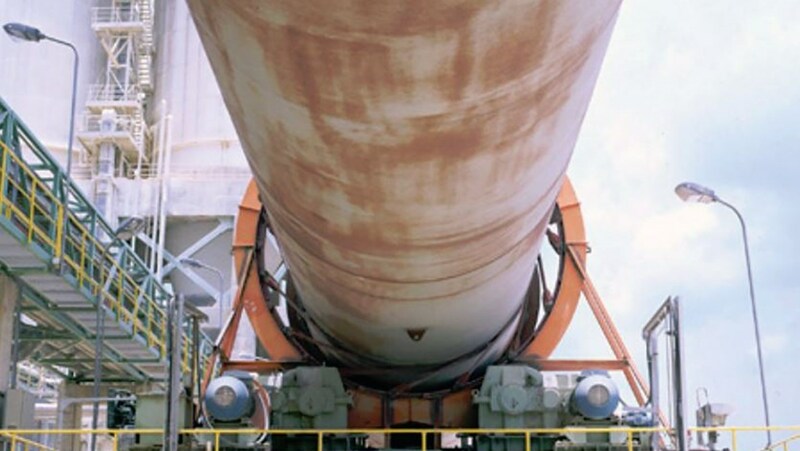 If the two shafts are coupled shaft-to-shaft directly, a coupling is required. 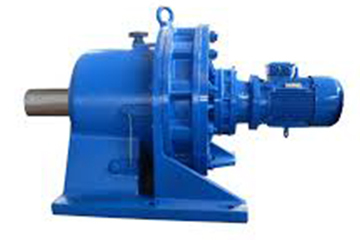 If they are not coupled shaft-to-shaft, the speed reducer generally has a "quill-style" or hollow shaft for the prime mover shaft to mount into. The coupling is accomplished with a clamping pinion gear or adapter plate. 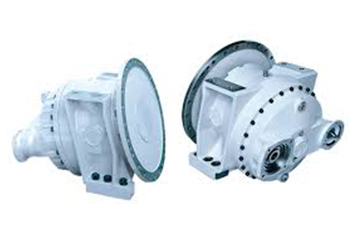 Specific NEMA face adapters (coupling type) are also manufactured to eliminate sizing concerns between motor and gearbox. Input and output configurations for gearboxes and gearheads include hollow shaft, hollow shaft, or coupling or bushing. A single input shaft can drive multiple output shafts. The output shafts are usually parallel and in-line. However, some unique configurations exist that allow for offset shafts to be driven at different speeds. 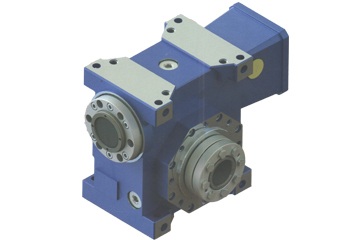 Some gearboxes and gearheads can be supplied with a reaction arm. A reaction arm prevents the reducer housing from rotating when there is no base mounts or flanges. 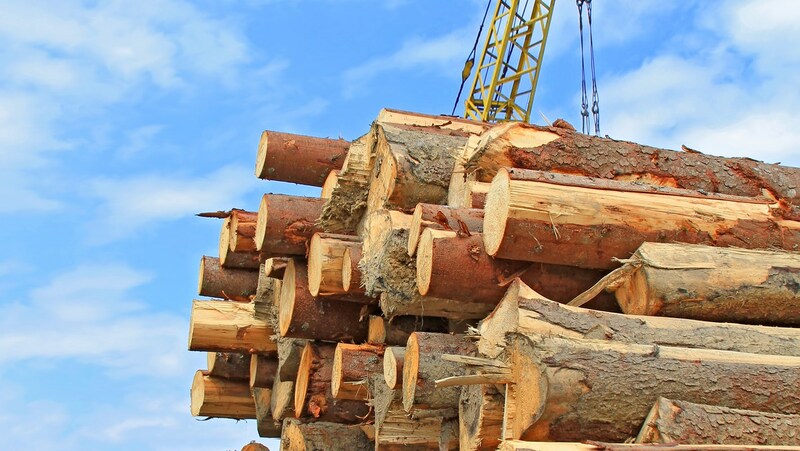 Shaft alignment can be parallel in-line, parallel offset, right angle, and non-perpendicular angled shafts. Shafts can be aligned vertically as well. In order for a shaft to be orientated in a vertical position, considerations need to be made regarding lubrication.